Shortly after becoming the first streaming service to take home the Emmy for Outstanding Drama Series, Hulu is ready to announce another big success. 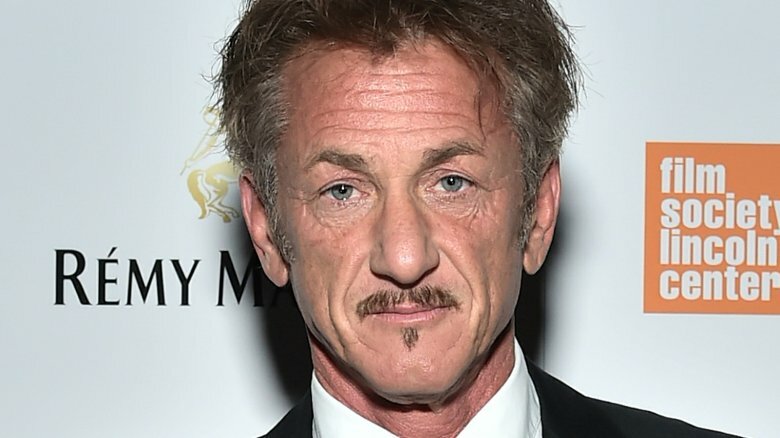 According to The Hollywood Reporter, Sean Penn has joined the streamer's upcoming space drama from House of Cards creator Beau Willimon. The drama, called The First, is set in the near future and follows the first human mission to Mars and their attempts to colonize the planet. There is no word on who Penn, a two-time Oscar winner for Milk and Mystic River, will play, but the show is said to focus on the astronauts as well as their families, loved ones, and the ground team on Earth. "I have such deep admiration for Sean's immense talent and extraordinary body of work," Willimon, a multi-time Emmy nominee for his political Netflix series and a Golden Globe and Oscar nominee for is work on the Ides of March screenplay, said of the actor. "I feel very lucky to be collaborating with an artist of his caliber." Willimon previously said that the drama will be a story about "the human spirit." "[It's] about our indomitable need to reach for unknown horizons," he said. "About people working toward the greatest pioneering achievement in human history. And about the cost of that vision, the danger and sacrifice— emotional, psychological and physical— that's required to achieve it. How ordinary, imperfect people band together and overcome a myriad of obstacles to grasp the extraordinary." For Hulu, grabbing Penn and Willimon proves how quickly their star is rising in the streaming world. The budding network has many exciting projects set for the future, including adaptations of the graphic novels Locke and Key and Marvel's Runaways; the Stephen King multiverse story Castle Rock; a Bobby Kennedy miniseries starring Wonder Woman's Chris Pine; and the sci-fi comedy Future Man, from executive producers Seth Rogen and Evan Goldberg. Production on The First is set to begin this year; no premiere date is set yet, but the series should hit the streamer in 2018. For now, see some of the shows you have to look forward to this fall.